Jackson had his 12 month appointment yesterday. 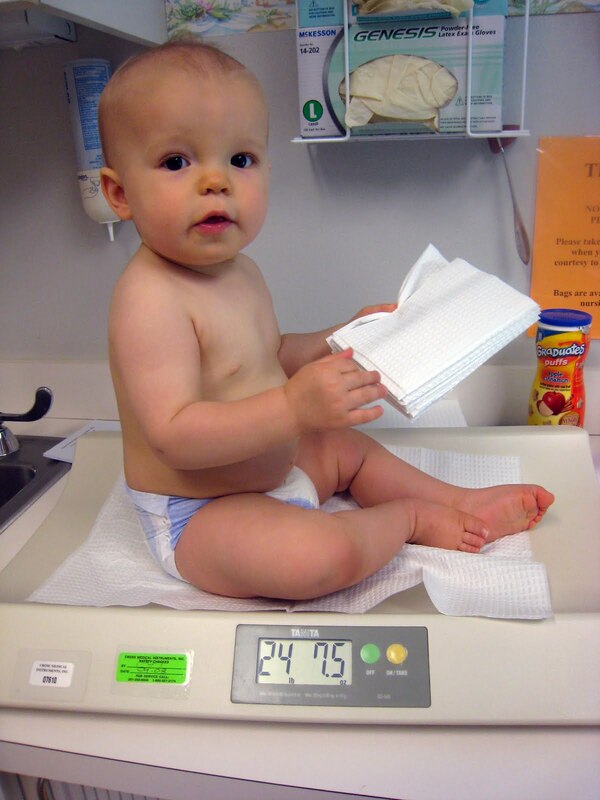 His weight and height are both in the 75th percentile. His height was 31.something inches and his weight was 24 lbs 7.5 ounces. His head was in the 97th percentile. He got three shots, but barely cried. He looks so cute and kinda like a toddler. The pictures amuse me b/c he is so happy. Both my girls would scream when I put them on the scale! 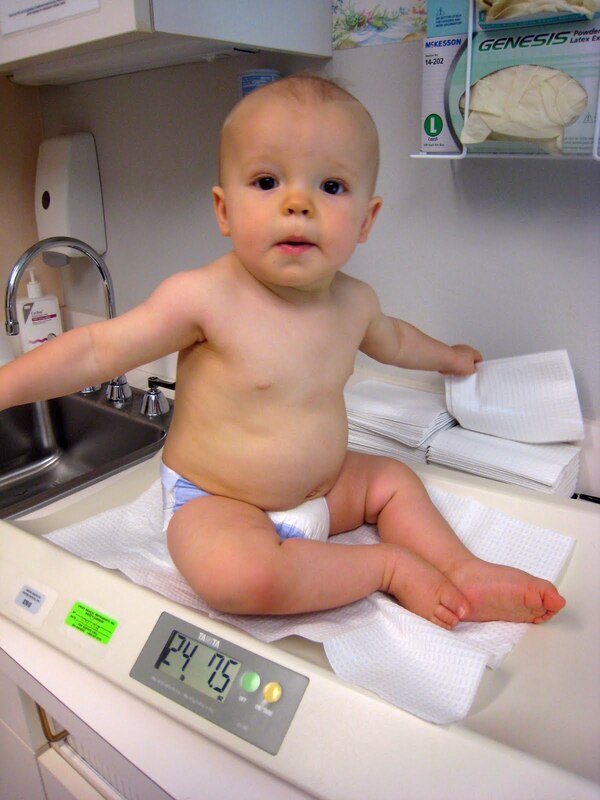 What's funny to me is the nurse calls the scale a "boat" to the kids to try to get them excited. Maybe other kids do, but I don't think Jackson know what a boat is. Despite that, the second picture really looks like him in a boat to me!